High Performance, Enterprise-Grade for Mission Critical Deployments. The AP3825 is a high-performance 802.11ac and 802.11abgn indoor access point purpose built for high-density deployments. This access point is designed to operate in heavy-user and mission critical environments such as healthcare facilities, universities, conference centers, arenas, and stadiums. Active/active data ports and multiple power options ensure that the AP3825 provides always-on connectivity. This high-performance access point is equally adept at serving high-bandwidth video applications as well as low-latency voice applications. The AP3825i comes with an integrated six antenna array for ease of installation. The AP3825e requires professional installation and includes six RP-SMA antenna connectors supporting both 2.4GHz and 5GHz band antennas. 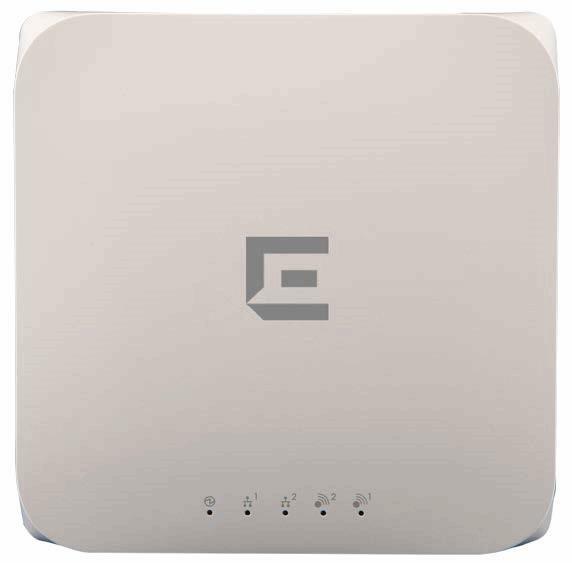 Unique to this class of access point, the power efficient AP3825 uses 802.3af Power over Ethernet (PoE) without reducing its performance nor degrading its enterprise-grade capabilities. An optional external power supply is available for deployments that do not support Power over Ethernet.